It's that time of year again! 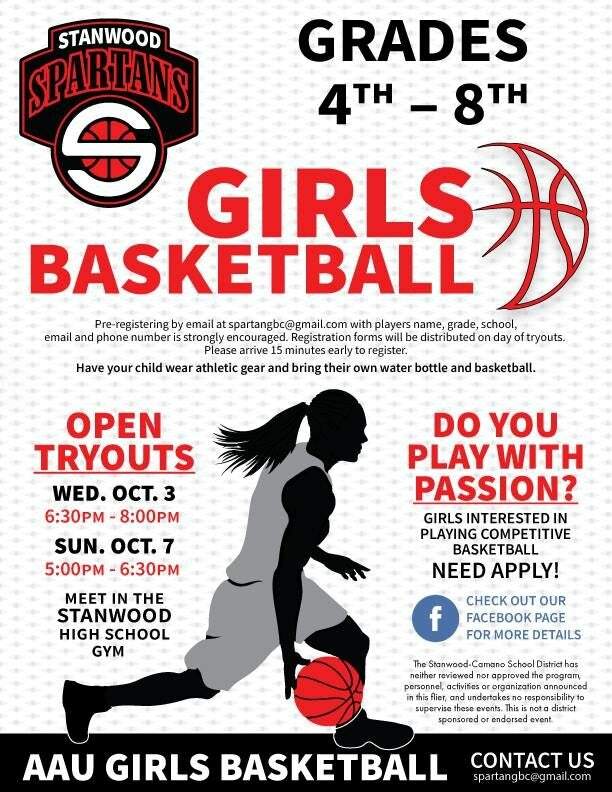 Tryouts for the AAU Stanwood Spartans girls basketball team will be held on Wednesday, October 3rd, 2018 at 6:30 pm and then again on Sunday, October 7th, 2018 at 5:00 pm. These tryouts are open to girls in grades 4th through 8th who will attend Stanwood High School (or neighboring districts with no AAU girls program).